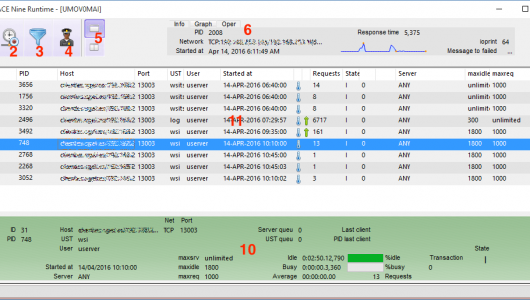 UMO is an Uniface standalone application that allows you to monitor, control and fine-tune the Uniface Router. In a mobile or webservices scenarios monitoring Uniface Router is essential for business. It helps to configure production environment by analyzing the actual performance of uservers in execution. Information about each userver is human readable, clear and multilanguage using tooltips to explain the meaning of fields. Tests urouter/userver configuration by executing a configurable number of test services. Uniface Router with poor response time.